Hi! I made two cards using the Flourish stamp set by Concord and 9th. 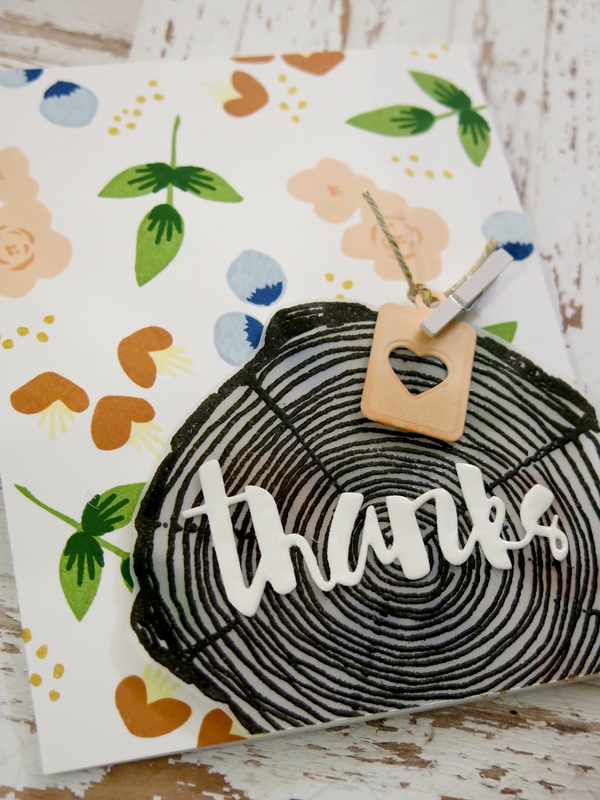 By changing the colors slightly in my stamped pattern I was able to treat one as a background and the other as a focal point. 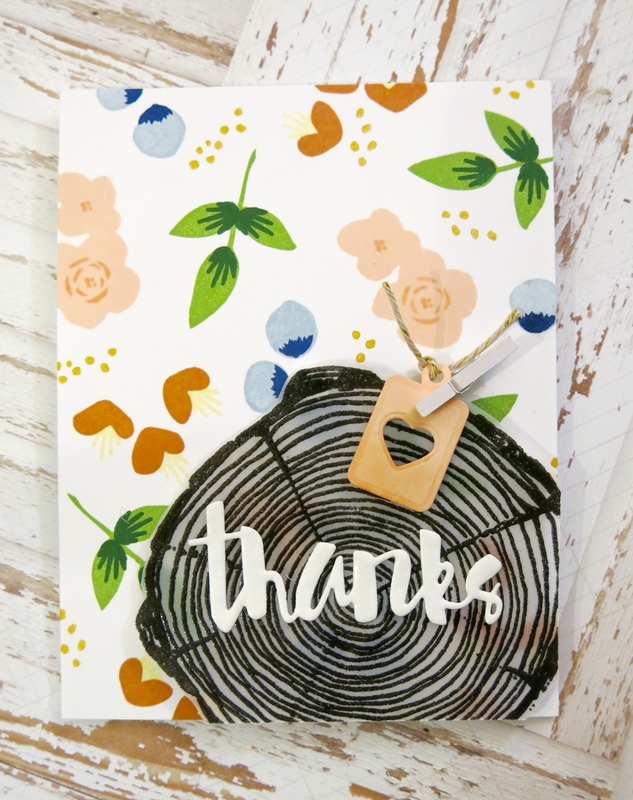 On this first card I stamped an A2 panel in various inks using my MISTI stamping tool. By using this tool I could easily stamp the same image multiple times to get really solid ink coverage. Next I stamped Concord and 9th ‘Tree Ring’ on vellum in VersaMark ink and heat embossing it with black powder. After trimming it out I attached it to the panel with foam tape. I covered some white card stock in the same ink I used for stamping the largest flowers and cut a tag from Bags & Tags die by Concord and 9th. I added some hemp twine and added it to the card with a clothespin. Lastly, I added my sentiment covered in Nuvo Crystal Drops. 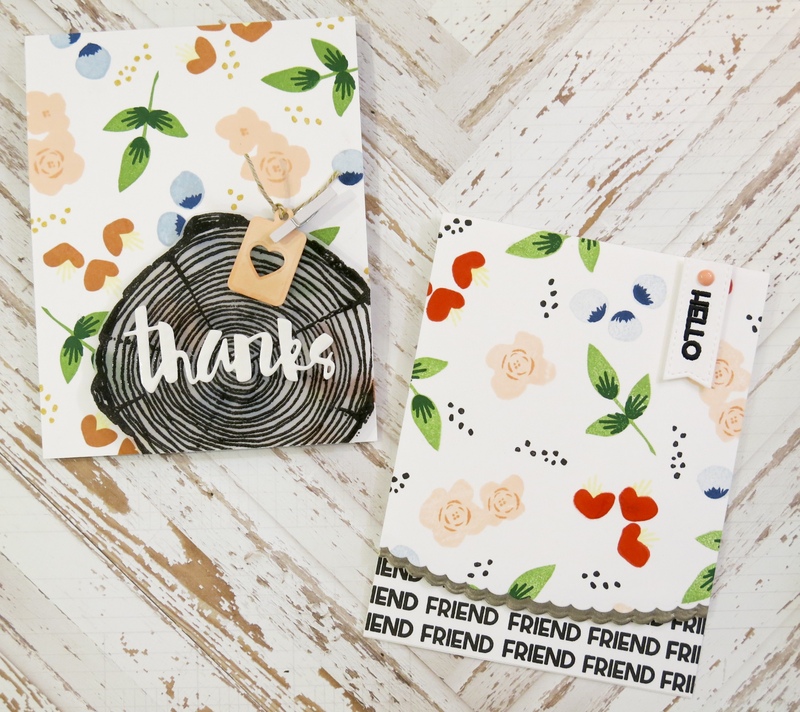 The second card uses the same Flourish stamp set – the addition of a bolder red flower incorporated into the pattern and black dots give it a more graphic feel. After stamping my pattern on an A2 panel I trimmed it down with a scallop border from the Bags & Tags die set twice. The second piece I cut I covered in embossing powder before heat setting it. 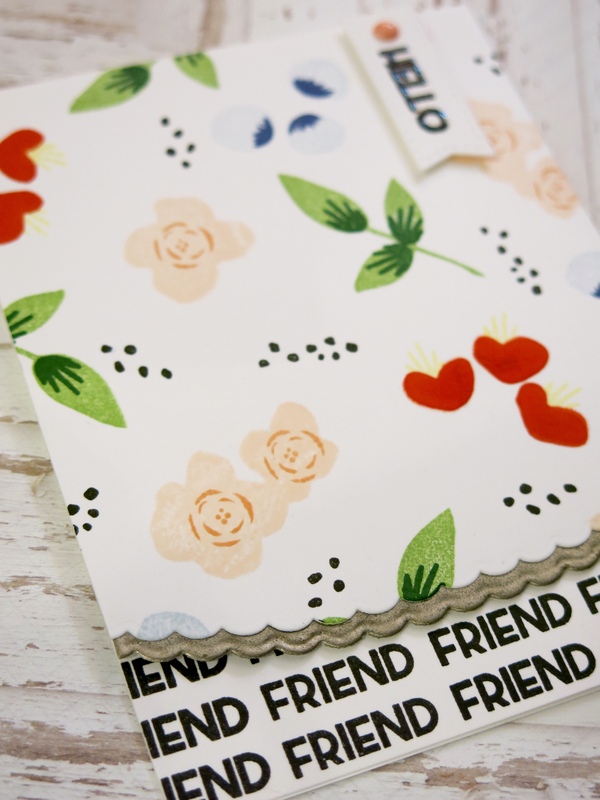 The ‘friend’ sentiment is from the Flourish stamp set. 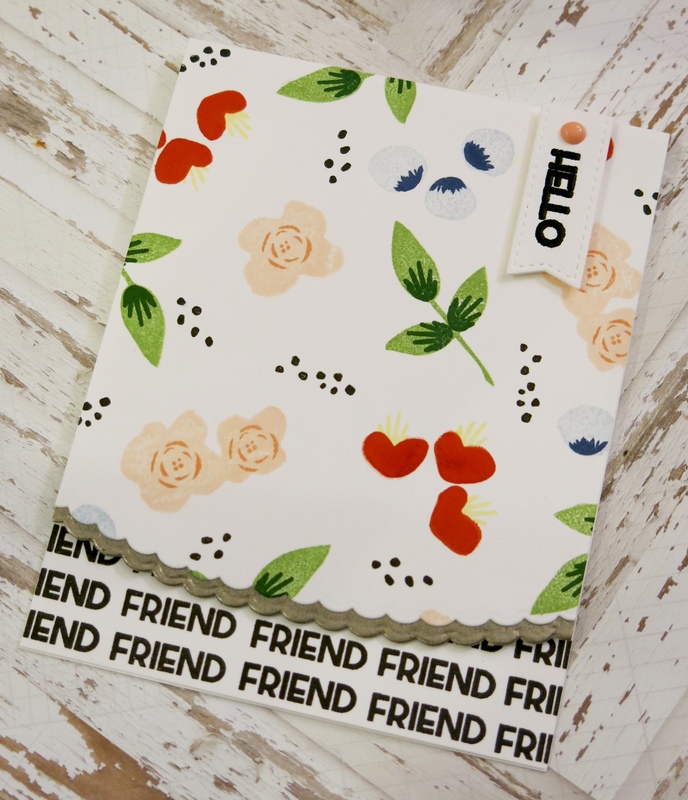 I stamped the sentiment repeatedly on a top folding card and then attached the floral panel and embossed border with foam tape. Finally, I cut out a banner and embossed ‘Hello’ on it in black. I trimmed the banner down and attached it with foam tape. The final touch was to add an enamel dot using Nuvo Crystal Drops. Your cards are beautiful!! I love how you’ve used these stamps! These are really wonderful, love how you combined the different stamps/sets to come up with these unique designs!